Kim Schoenholtz is the Henry Kaufman Professor of the History of Financial Institutions and Markets in the Economics Department and teaches courses on money and banking and on macroeconomics. He also directs the Stern Center for Global Economy and Business. Previously, Schoenholtz served as Citigroup's global chief economist from 1997 until 2005. Schoenholtz started his career as a market economist at Salomon Brothers in 1986, working in its New York, Tokyo and London operations. He was named Salomon's chief economist in 1997, and subsequently became chief economist at Salomon Smith Barney and at Citigroup. Schoenholtz was a visiting scholar at the Bank of Japan's Institute for Monetary and Economic Studies from 1983 to 1985. He received an M.Phil. in economics from Yale University in 1982 and an A.B. from Brown University in 1977. He also studied for one year in Marburg, Germany (1978-79) and completed a one-year intensive Japanese language program at Cornell (1979-80). Schoenholtz was named in 2015 as a member of the Financial Research Advisory Committee of the U.S. Treasury’s Office of Financial Research. 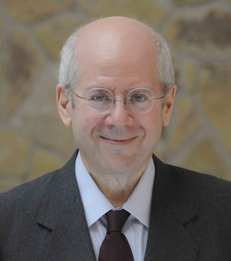 He also is a panel member of the U.S. Monetary Policy Forum and a member of the Council on Foreign Relations. Previously, he served as a member of the Executive Committee of the Centre for Economic Policy Research in London. Schoenholtz is the co-author of a popular textbook on money, banking and financial markets and of a blog on the same topic at www.moneyandbanking.com.